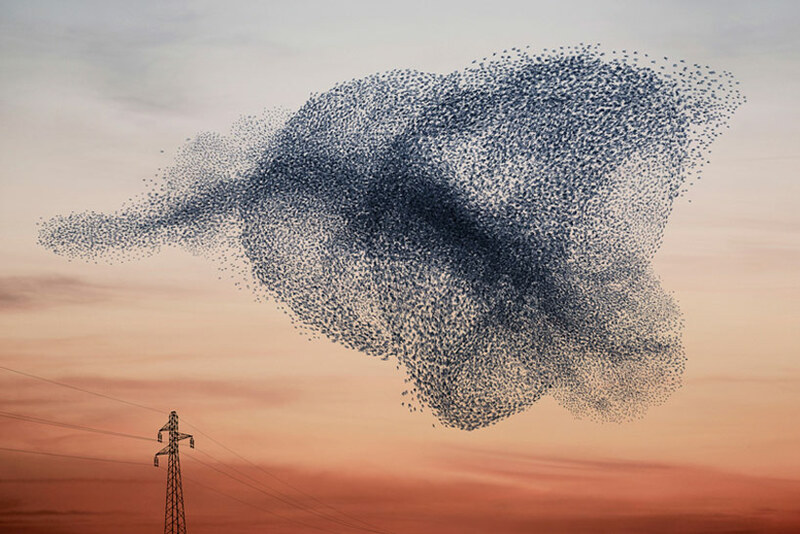 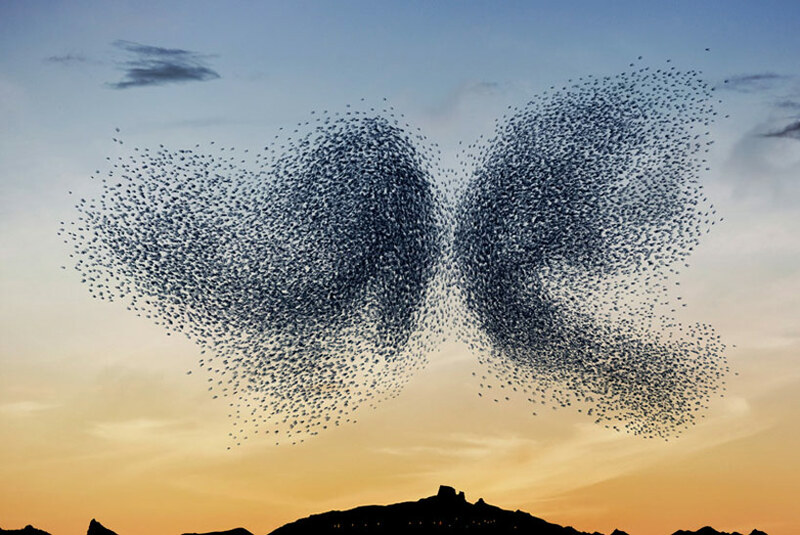 Upon first inspection, French photographer Alain Delorme has created stunning imagery of a natural wildlife phenomenon. 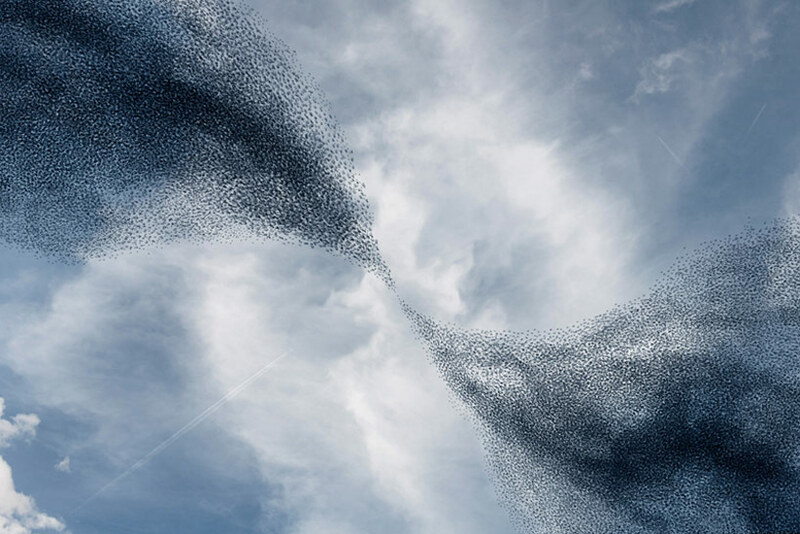 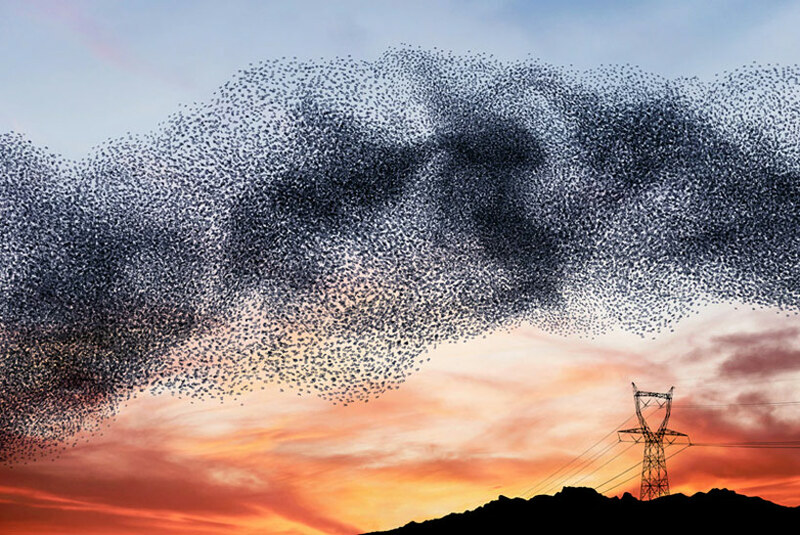 His series, ‘Murmurations‘ – exhibited at Taubert Contemporary Gallery, Berlin earlier this month – seemingly captures flocks of birds in all their balletic and graceful beauty. 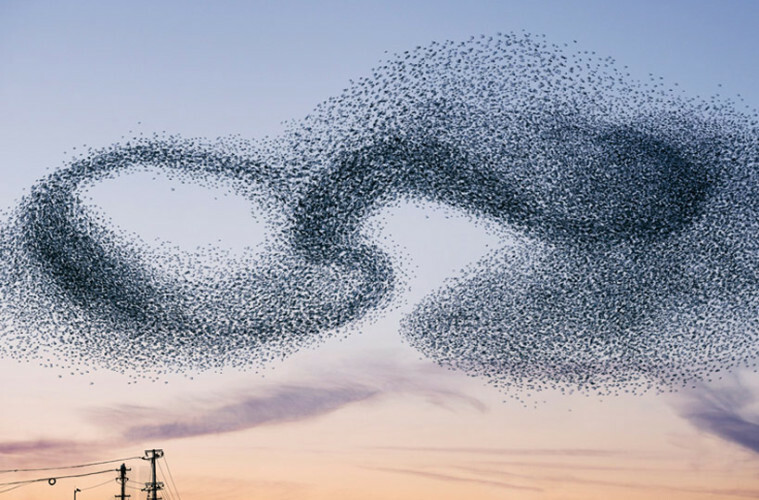 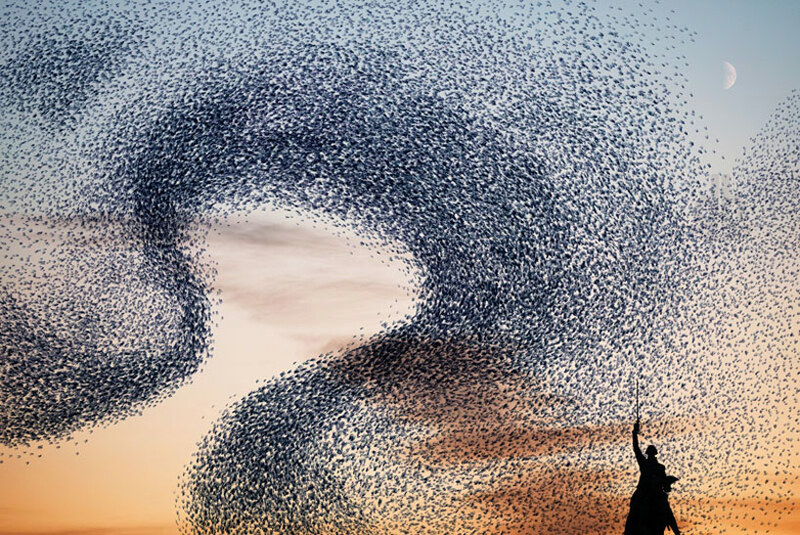 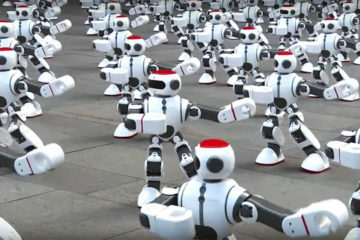 However, the shapes are in fact a series of shapes created with thousands of plastic bags, not birds, meticulously arranged to merge into a bird like form. 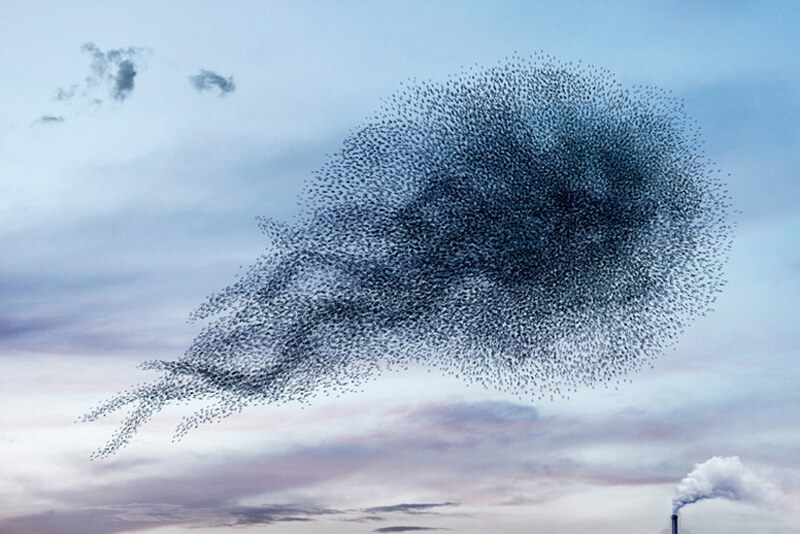 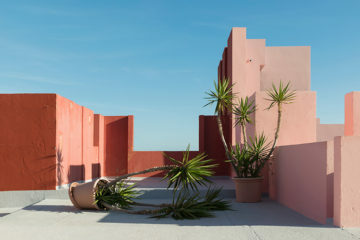 Delorme created the digital pieces to reflect the idea of a land art installation, metamorphosing natural spaces through an artistic intervention that sees a cloud-like dance against a polychromatic sunset.